You can now protect all your important data and information with the help of an attribute named Controlled Folder Access. It saves such info from the malicious and infected applications and also from the ransomware attack. 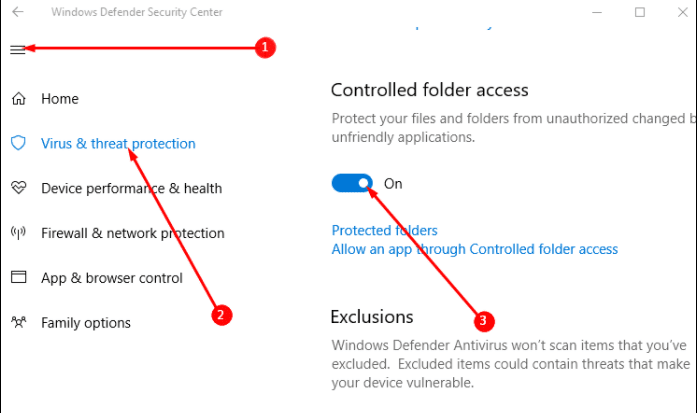 The choice to enable such protection lies within the Windows Defender Security Center and it is completely the safest way to work out with it. Sensing the ransomware attacks being frequent Windows decided to incorporate this feature into the next version that is Fall Creator.